Time for Spring Mower Maintenance! BEAT THE SPRING RUSH - ProGreen Plus | Knoxville, TN | Lawn Mower Parts | Riding Lawn Mower Parts | ServiceProGreen Plus | Knoxville, TN | Lawn Mower Parts | Riding Lawn Mower Parts | Service | We've Got Your GRASS Covered! Now is a GREAT time to perform maintenance on you riding mower, push mower, commercial mower, and other power equipment. Small engines don’t like to sit in storage. Carburetors begin to clog, oil sludge develops, and bearings begin to tighten up. ProGreen Plus now has in stock engine maintenance kits that are just right for your engine. Depending on your engine, kits contain all of the items needed to perform general maintance. Items include oil filters, engine oil, air filters, spark plugs, and fuel filters. Prices for the kits begin at only $12.99! (Save over 15% verses purchasing items separately). Kits are available for all brands of engines including Briggs and Stratton, Kohler, Kawasaki, and Honda. Engine manufacturers generally recommend that maintenance be performed on engines with every 40 hours of use…for most home owners, that is around once a year. We can also perform the maintenance for you. 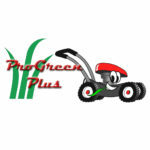 Push mower service prices begin at only $39 plus parts, riding mower prices begin at $69 plus parts. No appointment is necessary. Bring your equipment by at your convenience.